Is Israel Losing The Democratic Party? With Democrat-Republican gap widening on Israel, a test of bipartisanship in Trump era. That’s the mantra and mandate of Israel’s supporters in Jerusalem and Washington since the Jewish state was founded almost 70 years ago, a recognition that its ability to garner major financial and political backing in the U.S. depends on engaging Democrats and Republicans alike. 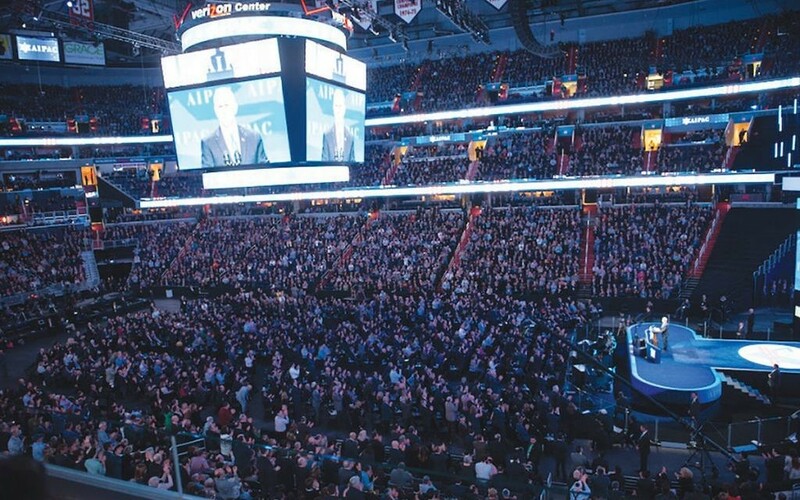 But as AIPAC, the pro-Israel lobby, prepares for its annual national policy conference in Washington next month, there is deep concern among the faithful that bipartisanship is becoming more slogan than reality across the country, a trend that has intensified in the age of Trump. The latest findings of the Pew Research Center, released last month, indicate that the divide between the two parties on Israel is the widest it has been in four decades. 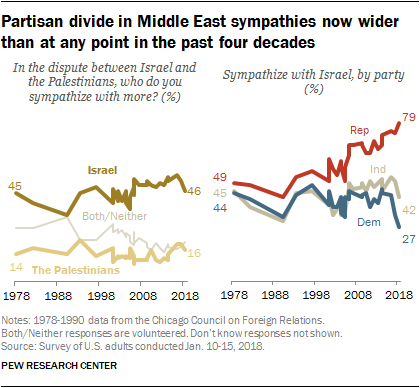 Seventy-nine percent of Republicans say they sympathize more with Israel than with Palestinians, compared to 27 percent for Democrats (down from 43 percent two years ago). Seventy-three percent of Republicans say President Trump is “striking the right balance” in dealing with the Middle East while only 21 percent of Democrats agree. Almost half of Democrats (46 percent) say the president favors Israel too much. Still, it’s not hard to see why so many Jews here and in Israel are enthusiastic about a White House that has made good on promises to recognize Jerusalem as Israel’s capital; taken steps to move the U.S. embassy from Tel Aviv to Jerusalem; put the diplomatic and financial squeeze on a Palestinian Authority that has long resisted even minimal signs of compromise; and, perhaps most importantly, moved to strengthen or end the nuclear deal with Iran that has a built-in time limit. Off-the-record conversations with pro-Israel lobbyists confirm that they are deeply worried about the steep decline in bipartisanship on Israel among the electorate. They note that while older white males are the sweet spot for Israel, especially among Evangelicals, one of the fastest-growing segments in America — young people and minorities like African-Americans and Latinos who will soon represent the core of an increasingly progressive Democratic Party — are less inclined to favor Israel and increasingly sympathetic to the Palestinian cause. Minorities and millennials view the issue as primarily about human rights, and they see the Palestinians as the underdogs. Younger Americans, including Jews, are more likely to blame Israel for the Mideast peace stalemate. They are critical of Israel’s treatment of Palestinians living in the West Bank, and sympathetic to the BDS movement that promotes boycott, divestment and sanctions against Israel. Change of stance: Sen. Kirsten Gillibrand (D-N.Y.), a potential presidential candidate in 2020, backed away from her support of anti-BDS legislation last summer. Some say she was pressured by party progressives. 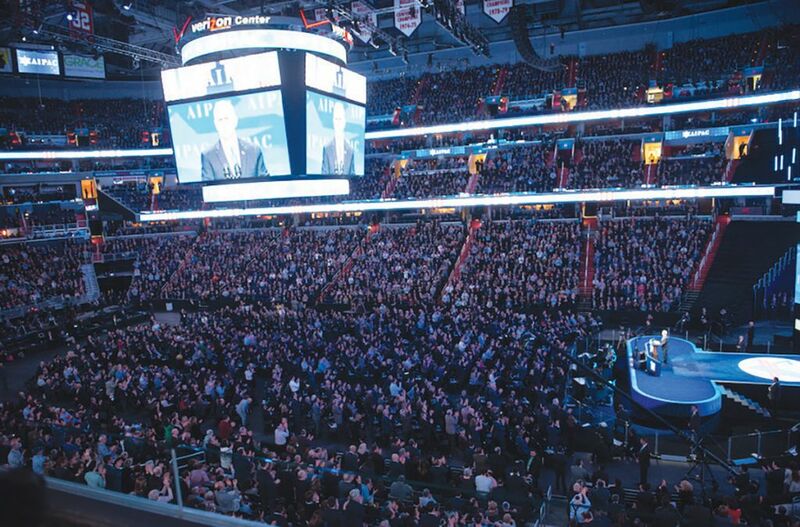 “We are in for the fight of our lives,” said one veteran pro-Israel insider who, on learning that Vice President Mike Pence will be speaking at the upcoming national AIPAC conference, speculated that the decision must have been difficult for the lobby. On the one hand, Pence is an outspoken supporter of Israel who gave a rousing speech at the Knesset last month. Yet giving him such a prominent platform was not going to help convince liberal Democrats that AIPAC remains fully bipartisan. Pro-Israel political observers worry that Democratic leaders, responding to the surge among progressives, are tilting further left. 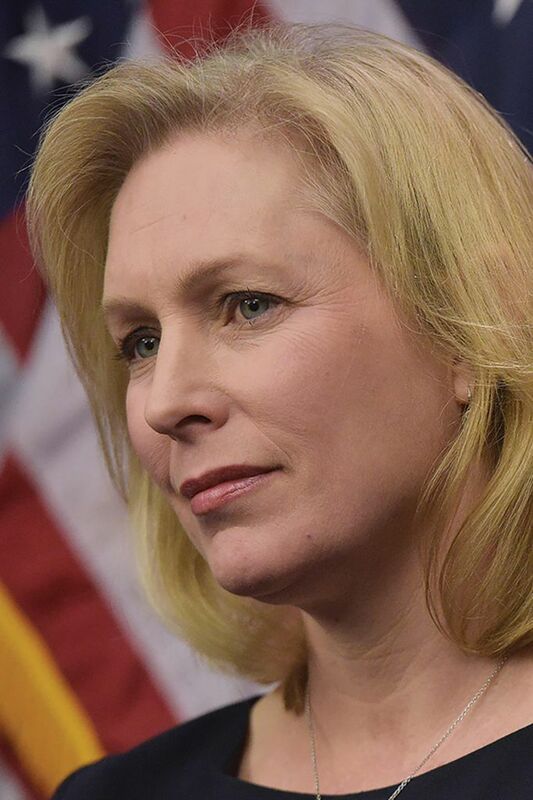 They note that New York Sen. Kirsten Gillibrand, who is seen as a possible presidential candidate in 2020, withdrew her support for anti-BDS (boycott, divestment and sanctions) legislation last summer after facing criticism at town hall meetings. She said she still opposes BDS but is seeking better language to satisfy those concerned about infringements on civil liberties. Her move could be seen as positioning herself more favorably among progressives. 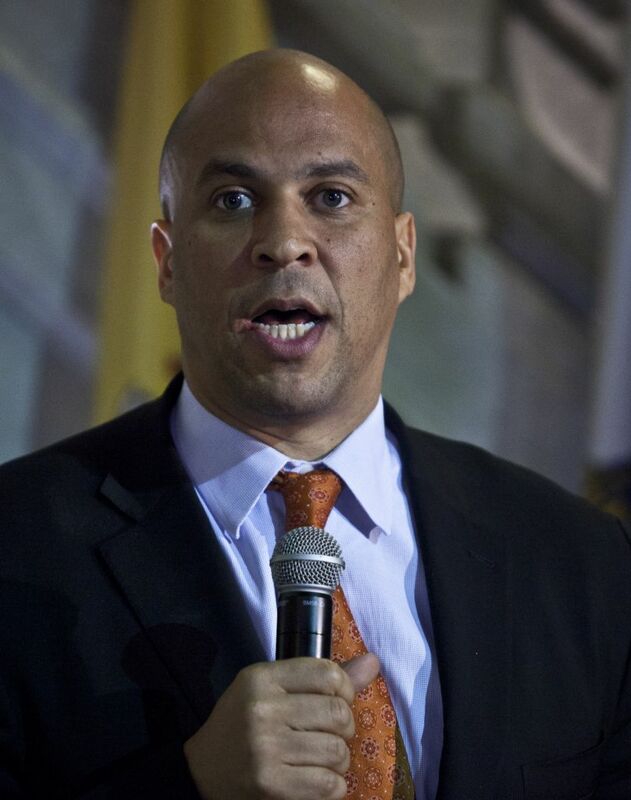 Another presidential hopeful who is being closely watched is Cory Booker, the New Jersey senator who for years has been among the most popular speakers and fundraisers on the Jewish circuit (and perhaps the member of Congress most knowledgeable about Judaism). Will he, too, tilt left to reflect the political climate within the party? Booker’s vote in favor of the Iran nuclear deal in 2015 was a blow to some of his biggest pro-Israel supporters. As pro-Israel groups reach out to young progressives, Almog Elijis may well be the face of Israel’s response to a generation of young American Jews distancing themselves from the Jewish state. Eyes on Booker: Sen. Cory Booker (D-N.J.) has been popular on the Jewish speakers circuit in recent years. But his vote in favor of the Iran nuclear deal in 2015 disappointed many pro-Israel supporters. 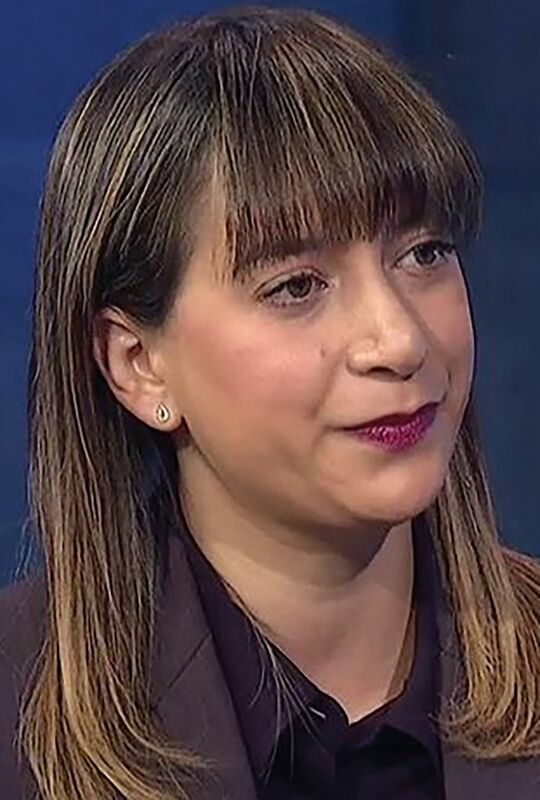 Elijis, 29, and only four months into her post heading up the media department at the Consulate General of Israel here, is seeking to engage millennials who identify as progressive in their politics. She recently attended the national conference of the Young Democrats of America and spoke with a small group about the Mideast. The message of the newest diplomat at the consulate here reflects a more realistic and modest Israeli approach in describing the state and its challenges than in years past. Newest diplomat: Almog Elijis, 29, of the Israeli consulate in New York, uses new approach with millennial progressives. She spoke to the young Democrats about Jerusalem and the embassy, BDS and the Iran threat, informing or reminding them of Israel’s rejected efforts to reach a peace agreement with the Palestinians and Iran’s pledge to wipe out the Jewish state. Elijis said no one in the room knew that transgender people can serve in the Israeli army or that the IDF conducts Operation Good Neighbor, assisting refugees of the Syrian war, bringing them to Israeli hospitals for medical treatment and expediting their return. All of that and more will be needed to reverse the tide in an ongoing battle that needs strong support for Israel from both red and blue voters.